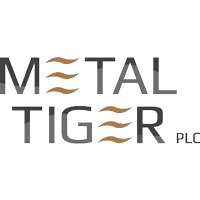 Shares of Metal Tiger PLC ticker lookup code: LON:MTR has risen 4.15% or 0.05 points throughout today’s trading session so far. Traders have so far held a positive outlook during this period. The periods high figure was 1.25 and hitting a low of 1.16. The total volume traded so far comes to 1,035,141 whilst the average number of shares exchanged is 4,585,032. The stock 52 week high is 3.44 around 2.24 points in difference on the previous days close and a 52 week low being 1.08 a difference of some 0.12 points. Metal Tiger PLC now has a 20 SMA at 1.28 and also a 50 day moving average of 1.56. The market capitalisation is now £16.87m at the time of this report. The share price is in Great British pence. Mcap is measured in GBP. This article was written with the last trade for Metal Tiger PLC being recorded at Friday, January 11, 2019 at 11:51:44 AM GMT with the stock price trading at 1.25 GBX. Shares of Centrica PLC with company EPIC: LON:CNA has stepped up 1.39% or 1.85 points throughout today’s trading session so far. Market buyers have remained optimistic during the trading session. The period high was 135.25 and a low of 132.25. The volume total for shares traded up to this point was 7,360,575 with the daily average traded share volume around 27,440,541. A 52 week share price high is 164.5 equating to 31.7 points different to the previous business close and a 52 week low sitting at 123.1 is a variance of 9.70 points. Centrica PLC now has a 20 moving average of 136.27 and also a 50 day moving average of 141.25. The current market capitalisation is £7,670.52m at the time of this report. The share price is in Great British pence. Mcap is measured in GBP. This article was written with the last trade for Centrica PLC being recorded at Friday, January 11, 2019 at 11:59:35 AM GMT with the stock price trading at 134.65 GBX. Shares in Aviva plc found using EPIC: LON:AV has climbed 1.31% or 5.2 points during today’s session so far. Buyers seem confident while the stock has been in play. The high for the period has peaked at 402.8 dipping to 395.5. The number of shares traded by this point in time totalled 5,136,213 whilst the average number of shares exchanged is 12,537,677. The 52 week high price for the shares is 554.6 some 158.7 points difference from the previous close and the 52 week low at 361.8 a difference of some 34.1 points. Aviva plc now has a 20 SMA of 379.89 and now the 50 day simple moving average now at 402.58. The market capitalisation is now £15,652.31m at the time of this report. Share price is traded in GBX. Mcap is measured in GBP. This article was written with the last trade for Aviva plc being recorded at Friday, January 11, 2019 at 11:59:52 AM GMT with the stock price trading at 401.1 GBX. Shares of Informa PLC with EPIC code: LON:INF has climbed 1.08% or 7 points throughout today’s trading session so far. Market buyers seem confident during the session. The high for the period has peaked at 655.6 while the low for the session was 650.2. The total volume traded so far comes to 396,243 with the daily average number around 3,909,584. The stock 52 week high is 869.6 which is 221.4 points difference from the previous days close and putting the 52 week low at 602.8 a difference of some 45.40 points. Informa PLC has a 20 day moving average of 636.92 with a 50 day moving average of 685.5. The market capitalisation currently stands at £8,201.78m at the time of this report. All share prices mentioned for this stock are traded in GBX. Mcap is measured in GBP. 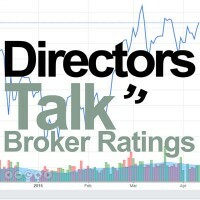 This article was written with the last trade for Informa PLC being recorded at Friday, January 11, 2019 at 11:59:33 AM GMT with the stock price trading at 655.2 GBX. Shares of INTERCONTINENTAL HOTELS GROUP Common Stock with EPIC code: LON:IHG has risen 1.17% or 50 points throughout today’s trading session so far. Buyers have so far held a positive outlook while the stock has been in play. The high for the period has peaked at 4334 meanwhile the session low reached 4269. The volume total for shares traded up to this point was 117,348 with the average number of shares traded daily being 612,041. The 52 week high is 5050 which is 784 points difference from the previous close and the 52 week low at 3850 making a difference of 416 points. INTERCONTINENTAL HOTELS GROUP Common Stock now has a 20 SMA at 4198.35 and now a 50 day MA at 4211.02. The current market capitalisation is £8,233.66m at the time of this report. The stock is traded in GBX. Mcap is measured in GBP. This article was written with the last trade for INTERCONTINENTAL HOTELS GROUP Common Stock being recorded at Friday, January 11, 2019 at 11:59:13 AM GMT with the stock price trading at 4316 GBX. The stock price for International Consolidated Airlns Grp SA with ticker code: LON:IAG has gained 3.09% or 18.4 points during today’s session so far. Investors have stayed positive during the trading session. Range high for the period so far is 614.2 meanwhile the session low reached 594.4. Volume total for shares traded during this period was 2,808,036 with the average number of shares traded daily being 6,449,779. A 52 week high for the stock is 727 about 132.2 points different to the previous business close and a 52 week low sitting at 547 which is a difference of 47.8 points. International Consolidated Airlns Grp SA has a 20 day moving average of 613.96 and the 50 day MA at 628.73. The current market cap is £12,165.63m at the time of this report. The currency for this stock is Great British pence.Market cap is measured in GBP. This article was written with the last trade for International Consolidated Airlns Grp SA being recorded at Friday, January 11, 2019 at 11:59:47 AM GMT with the stock price trading at 613.2 GBX. Click AV CNA IAG IHG INF MTR for the full archive.